The Virgin Mary is a poem from Erik Axel Karlfeldt's (1866-1931) Dalecarlian Paintings in Rhyme and has been set to music by Nils Söderström (1894-1956). 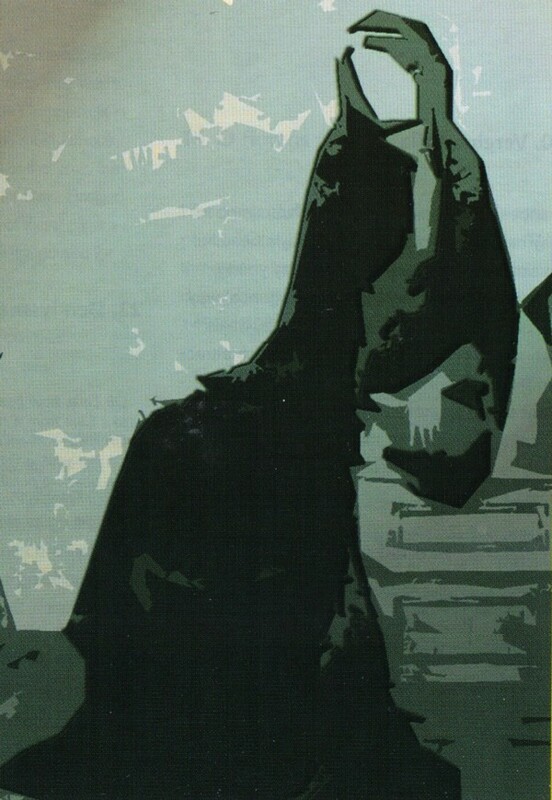 For this collection of poems, Jerk Werkmäster in 1920 made a series of woodcuts, of which The Virgin Mary adorns the front cover of this CD-issue. In all these forms, the Virgin Mary is represented as an innocent young maiden from the neighbouring village. The text alludes to the Battle of Brunkeberg (1471, Stockholm at stake!). The melody is a reconstruction made by Jan Winter, partly based on the German In gotes namen faren wir. The text variant chosen is the oldest one, in which mention is still made of the Virgin Mary (Catholic saint) as inspiring St. George with the courage to defeat the dragon (the Danish army). The song is followed by an instrumental version from the province of Jämtland, handed down by Karl Tirén. The song is found in the Cantigas de Santa Maria, a collection of more than 400 songs of homage and miracle (cf. #16). The tune is handed down by Brita Lisa Jonsson, Torp, Medelpad. Wolkenstein, Tyrolean nobleman, diplomat, mercenary soldier, brigand etc., wrote everything from burlesque drinking songs to lovely songs about the Holy Virgin. This song about the Annunciation appears to have been very popular in medieval England and is found both in polyphonic arrangements and in plain versions with drone accompaniment throughout a period of 150 years. A most personal dialogue between Mary and Jesus on the cross. Jesus regards his suffering in a universal perspective, while Mary sees her son's agony. Free pipe improvisation on Kristallen den fina (see #13). A lyric folk-song about love and admiration, which, however, also contains symbols for Maria: kristallen den fina (the crystal so precious), du ädela rose (you noble rose), förgyllande skrin (radiant golden shrine). Spain, 14th C. — Soprano + fiddle, positiv organ & "choir"
Two pilgrim songs from the Llibre Vermell about the Holy Virgin. In the first she is symbolized by the Morning Star. In the second song she is invoked as the Queen of Heaven. All the way from Trondheim up in the north, in ever increasing groups, people joined the pilgrimages moving south through Europe on their way to Saint James's grave at Santiago de Compostela in the north-west of Spain. One of the most famous personages in the Christian world of that time, the Swedish Birgitta Birgersdotter (later Saint Bridget) participated with her family in one of these pilgrimages and may have blessed these songs also for making the wandering easier. A miracle tale from Cantigas de Santa Maria tells about the Virgin Mary revealing herself after the Mass, healing a poor paralysed man, so that he can return home walking by himself. In the refrains the congregation is praising the Holy Virgin and rejoicing in the miracle. The text possibly originates from a 14th century Icelandic Marian prayer. Like many contemporary Franco-Flemish composers, Ghiselin spent some years in Italy. This three-part composition was probably made during his employment at the court in Ferrara 1493-1503. A three-part Marian hymn with texts both in Latin and German (but little in correspondence to the Latin original). Francesco Petrarca's (1304-74) famous poem may have been adorned with Dufay's beautiful music, when the composer, still very young, visited Italy in the 1420's. In an allegorical way, the poem, like so many medieval texts, deals with a religious mystery or miracle which attracted people's wonder and fascination to a very great extent, sometimes raising their doubts, sometimes confirming their faith in Almighty God, i.e. the Virgin who became a mother without losing her virginity. The concluding two Marian songs come from the collection Songes (from 1828-40), dreamlike poems by the Swedish writer and composer Carl Jonas Love Almqvist. The author's inspiration is said to have come from a painting representing the Annunciation. The quantity of music inspired by the Holy Virgin is immense. 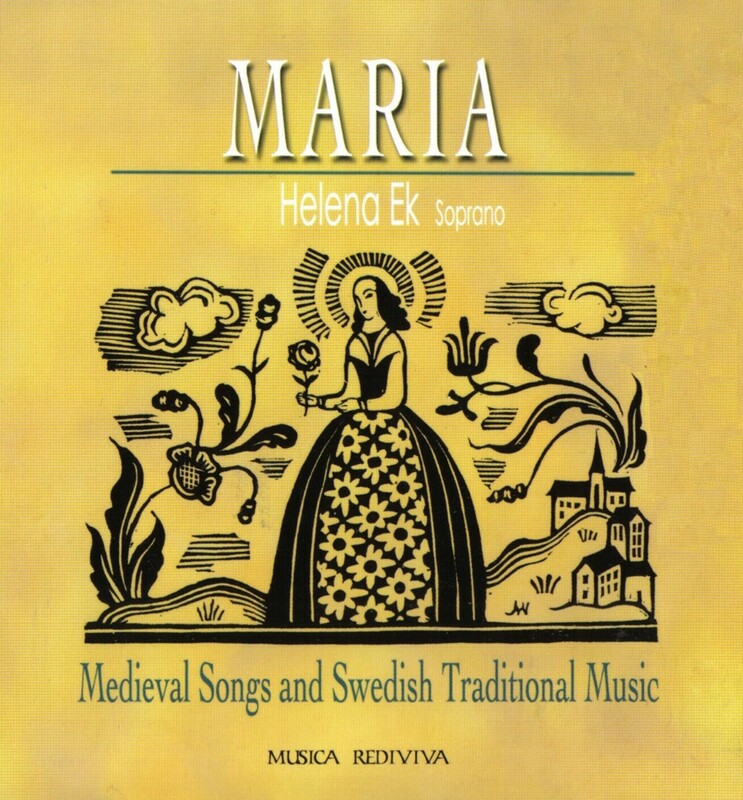 As a student at the Academy for Music and Drama in Gothenburg, thanks to my teacher Sven Berger, I became aware of the rich treasure of Marian songs preserved from medieval Europe. Ever since, I have been fascinated by the countless songs of tender adoration for this unique woman. My collaboration with the piper and percussion player Göran Månsson has enriched my repertoire with Nordic folk-music, and the sound of Göran's provincial folk pipes has also been used to lend colour to the medieval songs. During several years I have approached this music in performances of my own, using hurdy-gurdy and medieval fiddle as a complement to my voice. At the recording of this CD, thanks to the participation of fellow musicians, I had the opportunity to accomplish my concept by adding also pipe, percussion, harp and organ. has a broad repertory, but has mainly been performing early music. In this field she has maintained, for some years, a continuous collaboration with some outstanding musicians, such as the lute-players Jakob Lindberg and Stephen Stubbs. Helena Ek has worked with the Norwegian Baroque Orchestra, the Baroque Ensemble of Drottningholm and the Stockholm Baroque Ensemble, as well as the Corona Artis, Gothenburg, with which she has made a tour together with the Flemish viol-player Wieland Kuijken. She has participated in several baroque operas and made her début in 1997 in the Royal Palace Theatre of Drottningholm. Her artistic activities also consist of extensive touring, for instance in Japan, England, Switzerland, Germany and Italy. On a number of occasions she has appeared on television and radio and has recorded several CD's with Renaissance and baroque music, for example in the U.K. for Sony Classical and Virgin Classics. On the label of Musica Rediviva her voice can also be heard on two earlier issues. GÖRAN MÅNSSON is widely respected as one of Sweden's most interesting and dynamic players of recorders and equivalent provincial folk pipes in the fields of folk-music and early music. He has his roots in Haverö in the inner parts of Norrland and maintains a unique heritage of folk-music in the family Lång. Göran Månsson has participated in a series of CD productions and is represented on labels like BIS, Sony and Universal. His first solo record, "Inland", got brilliant reviews and was followed by "Mon", where he plays together with Roger Tallroth in the folk-music group Vasen. He makes frequent solo performances but-also makes "sit-ins" in the groups Gjallarhorn, Månsson & åberg and Frispel. Many thanks to: my daughter Sofia, my father Ingemar for unvaluable practical help at the recording procedure, and my fellow musicians for their generous artistic contribution.